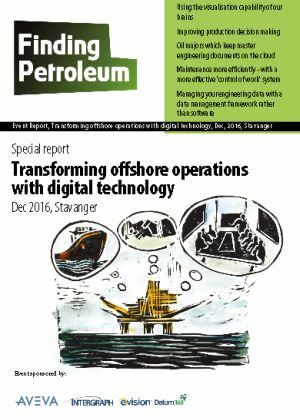 Our Stavanger forum on Dec 1, "Transforming Offshore Operations with Digital Technology", provided an update on how oil and gas companies are getting value from developments in digital technology. We looked at how digital technology can help you do more with brownfield assets, and improve operational efficiency and safety. We looked at better ways data can be integrated and put together. We'll look at ways you can work with 3D data, including with a case study from Lundin, and ways you can better make a framework for managing all your engineering data. We'll look at easier ways you can improve and manage production, without super-complex reservoir simulations. These are confusing times, and there is a lot of hype, but we hope to provide you with concrete examples about where real value is being found. We had speakers from Intergraph, eVision, AVEVA, Datum360 and Fablabs. Hexagon Process, Power & Marine (formerly Intergraph) is the world's leading provider of enterprise engineering software for the design, construction, and operation of plants, ships, and offshore facilities. Hexagon (Nasdaq Stockholm: HEXA B; hexagon.com) is a leading global provider of information technologies that drive quality and productivity improvements across geospatial and industrial enterprise applications. Intergraph's engineering solutions help users to increase productivity, accelerate projects, and gain a competitive edge. eVision Industry Software creates best-in-class Control of Work software. Innovative solutions that improve the way oil, gas, chemical and other hazardous industries operate on a global and local scale. eVision enables you to increase the safety and speed of your operations, supporting you in reaching your operational excellence and safety objectives. eVision solutions are fully configurable to match your organisation's wishes and requirements, while ensuring unprecedented ease-of-use and full compliance with the latest protocols and regulations. These demanding industries, that once used drawing boards and plastic models, now depend on AVEVA's integrated engineering software to drive every phase of a project's engineering workflow. From initial design and specification, through 3D engineering layout to procurement, materials management and project control, AVEVA's software combines technical excellence with unrivalled data integrity - all within a framework of applications flexible enough to meet the diverse requirements of all its users. The company's consistent growth has spanned five decades, during which time AVEVA has unveiled a number of leading-edge innovations in its industry, formed partnerships with major technology suppliers in specialist fields, and acquired a number of companies that have complemented its core solutions. By continuing to invest in its technology today, AVEVA guarantees the success of its customers for the future. How to assess millions of scenarios and will always find efficient production strategies that lie outside of an engineering teams peripheral vision. Fablabs' business objective is to optimize oil production at a multi-field level by use of a network model that provides near real-time advice to production engineers. It will recommend actions to be taken in the next hours & days to safely increase oil production across one or more fields connected to a single topside processing system. It will also accept hand crafted constraints from an engineer and provide a rapid feed-back loop for evaluating next steps. The possible actions will include shut-ins, start-ups, re-routes to alternate separators, and adjustments to choke and gaslift. The core technologies structure incoming data from a time-series database into a live model that allows for intricate and arbitrary constraints to be placed throughout the network. No two wells is alike, and that needs to be accomodated. The web-based, light-weight user interface belies the powerful engine behind it. Common functions like filtering and user directed investigations are intuitive. Engineers will be able to securely log in from anywhere, 24/7, using any device with a browser.